As many of you may know, Sharon (shashort) is in surgery today. They are taking one of her toes to replace the thumb that was lost when she closed her hand in the car door. I am starting a prayer circle. Let's surround our friend with good thoughts and prayers (if you are so inclined). Here is my hand and a prayer for a good result to start. I offer my hand to the next to join me..
Holding on Bonnie Bee, who will stand here next to me? Taking Dale's hand in prayer for Sharon and offering my hand to the next person for the best outcome! Taking Barbara's hand and offering my hand to the net. Prayers and positive thoughts going out to Sharon. Here's mine ahhshucks ....I will glady stand in line and send prayers for Sharon and offer my hand to the next person to join this circle! Thanks for looking after shashort and starting a Prayer Circle. Hoping for a great outcome! Holding you hand Mark and sending prayers your way Sharon for a successful surgery. Offer my hand to the next wanting to join in the prayer circle. Magstoyou Thanks for offering your hand and your prayers for shashort today. I woke up over and over again last night, thinking of her and saying prayers. When I woke this morning, her surgery was the first thing on my mind. Thanks for starting this prayer circle Youngatheart.7.4.12. Let's keep it going. I will take Ellen's hand and pray for Sharon for a quick recovery. She is a tough lady! She IS a tough lady. I'm taking your hand Jennifer and joining this loving circle. The only good thing about not getting much sleep last night was that I got to send up many prayers for Sharon. And they continue. I'm taking your hand Giulia and joining in this prayer circle for the surgery on our Sharon to be a complete success and for the healing process to go well so she can start pysio, huge hug for her as well. Lillian let me take your hand and join in with my prayers and thoughts for Sharon. Darren I'm taking your hand to join in with prayers for Sharon! I've got you hand plug66 and join in the prayer and good wishes for a speedy recovery for Sharon. I'll jump in here again, take your hand, Lynne, as I continue to say prayers for a successful surgery, perfect outcome, and quick recovery. Who will join me? Nancy, I am grabbing your hand and joining the circle of people who are offering up knee mail for this remarkable lady! She has had more than one persons share of woes, and I humbly ask the Lord to grant her a smooth recovery and fantastic result! I take your hand Tommy, join the circle of prayer for Sharon, and here is my hand to the next person. Be well Sharon, may the Doctors do a great job, and may your recovery be easy, hugs! Sharon has been such a inspiring person to us all. I extend my hand to the next person to continue with this prayer circle for such a wonderful person. Taking your hand KMC56 and sending prayers for Sharon who has lead by example--face the difficult and stay smober. 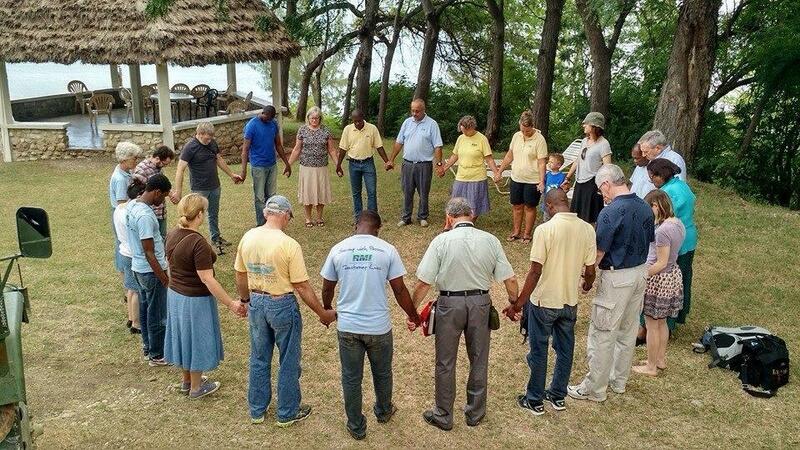 I extend my hand to the next person to come to this prayer circle for Sharon. I'll take your hand maryfreecig and add my prayers for a successful surgery and a quick recovery with a successful outcome. Karen, I accept your hand and connect to all to lift Sharon up in prayer. I pray that her surgery was successful and a great recovery, with peace in the name of Jesus. Amen. Jackie i will hold your hand and connect to all and lift Sharon up in prayer. I am taking your hand Arky and sending prayers for our dear Sharon! She is an amazingly positive person and I know she will do well! What's wrong with Sharon I lift her up in Jesus name I pray amen!!! Fee33 Sharon had an accident last year form getting her hand slammed in a door ended up losing her thumb she went through a heck of a time and it was in her first year of quitting ! What a power of example she has been to everyone on Ex ! Today they are removing a toe to replace her thumb . Kathy, I am taking your hand and sending love and healing thoughts to Sharon. Who will take my hand and keep this circle of love and prayer going? Don't want to leave you hanging, Sky - so I will take your offered hand, send another prayer up, and extend my other hand to the next to join the circle. Fee33 She not only lost her thumb but two other fingers above the first joint, I believe. This latest operation is an amputation of the toe next to her big toe to act as a graft onto her thumb so that she has more mobility. The thing that separates us primates (e.g. monkeys) from other animals is our opposable thumb. Not having such makes life a whole lot more difficult. Sharon is having the amputation of a perfectly good toe, so that she can regain more of a normal usage of her hand. (Correct me if I'm wrong shashort Sharon - YOU are the one who has the info.) Pray indeed much for this lady for she has been through much. By a simple accident. Gives us pause to think about our daily activities and daily blessings. Sharon is a blessing in this world. And I pray that this latest operation will do EXACTLY what it was meant to do. G, you are so right. Thank you for making it clear to everyone. Lois, I take your hand and join the circle of prayer for Sharon. May healing, strength and well-being be yours, shashort, throughout the recovery process. c2q I take your hand and I am on my KNEES for this lady...she makes Wonder Woman look wimpy. Fee33 she had no thumb and lost more than one digit because of the injury....it happened because the WIND blew the door shut before she could move her hand out of the way. It was a freak accident and this surgery is horrendous, particularly given her very, very difficult recovery from the first one. Her other hand is current bandaged because of an infection, I am not sure what caused that but she had to have it lanced and she is on antibiotics. I am not sure why they went ahead with THIS surgery given that fact. What a nightmare she has been through, be grateful, right now, she is completely dependent upon others to meet her needs and her pain level has to be through the roof. PRAY, everyone. I take your hand Ellen elvan and pray for Sharon's swift and good recovery. I hold out my other hand for the next person to join this loving circle. I take you hand Ellen, and pray in Jesus name that Sharon will come through this ok and start healing. She has been through so very much!! Prayers for a good outcome and for her infection on the other hand to be cleared up. xo Sharon, sending you love. I take your hand Christine and pray for wholeness in mind, body and spirit for our dear Sharon. Christine13 and Christophina and Diannnnn I spoke with Sharon tonight as well as Pat (plug66) and Sharon is a wonder... the graft site is causing her pain but she sounds upbeat and positive and is finding reasons to laugh. I just LOVE her, she is amazing, no weight bearing on her leg with the graft site and no weight on her HANDS, I am relatively certain that I would lose my mind! I hate being dependent upon others and I cannot see how she has any choice. Her Holidays were ruined last year because of this...PLEASE pray that they aren't THIS year! I will join you, elvan, in praying that she is well enough THIS year to celebrate the holidays. Youngatheart.7.4.12 as I take your hand to pray for this wonderful woman I'm gonna put her on my prayer list at my church an pray in Jesus name of her speedy recovery an healing In Jesus name I pray Amen!! !